Ranging from 15 mm to 135 mm, the ten focal lengths available in the ZEISS Compact Prime CP.3 or CP.3 XD series cover all applications from wide-angle to telephoto. 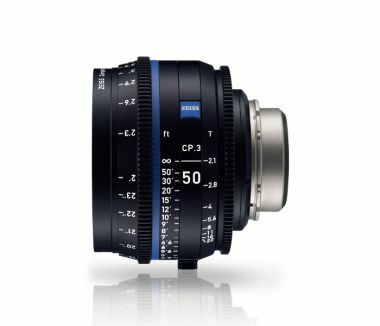 The ZEISS CP.3 lenses feature advanced lens coatings, painted lens rims and special light traps within the barrel to eliminate unwelcome veiling glare and flares. The result is higher contrast, richer blacks and more saturated colors.